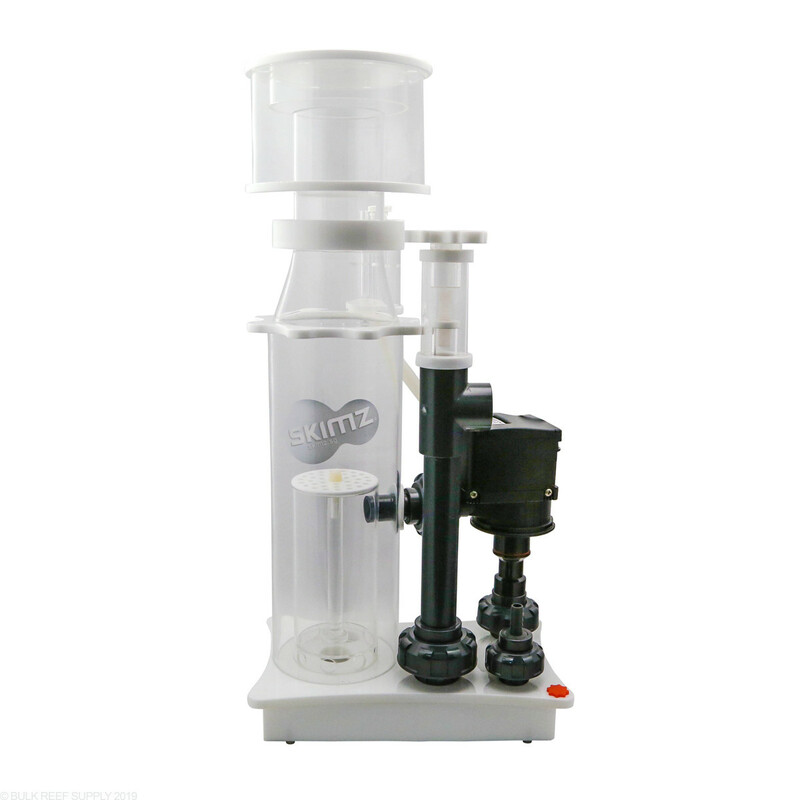 The Skimz E-Series SM122 External Protein Skimmer gives you high performance skimming at a great value. Everything that you would want in the skimmer is here, but the motor is junk. I got the skimmer and didn't get to install it until the warranty was up. Motor sounds like it is grinding marbles from day one. I can say that the last 3 months have been loud. Makes great skim when the motor isn't grinding. I was hoping since BRS carries part I would be able to order them but I didn't think that I would need parts from day 1.
skimmer is built like a tank. The recirculating pump died at the one year mark. Ive never had a pump die in a year EVER. Bought a new impeller but that didnt fix it. Pump was the loudest part on my system. 1. It's NOISY! It is the single noisiest equipment I ever used in my whole tank. Outright beat any other pumps combined. More speculate on the reason below. 2. Its shaft is brittle and the propeller chamber is super hard to open. To open it up, you need to turn the size of the inlet lid to unlock it. But then you still need to squeeze it out because the rubble ring make it fit super tight (it's good in sense of prevent leaking), so it take non trivial force to take it out. 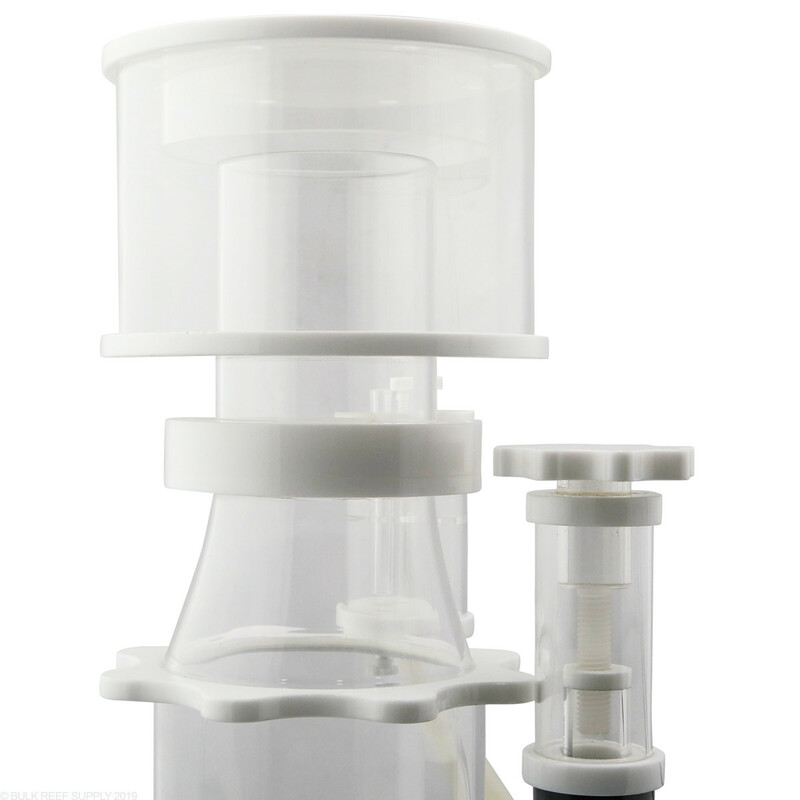 Then the most terrible part is, the shaft is more attached to the lid than to the pump, which means there is a good chance the propeller will come out with lid. But remember you were trying pretty hard, squeezing it left and right to try open it, which means when the lid come loose, there is good chance it's going to the side. Imaging what will happen when the majority of the propeller is still in the pump body while the head of the shaft being twisted to the side. Yes, it breaks. I opened it up couple times in attempt to figure out the noise issue since getting it last month, and already managed to break two. And that's when the pump is brand new. I can't even imagine how hard it will be after running it for months when it's due for a clean. I might be better off just use it until it stops other than trying to clean it down the road, cause opening it up with built up inside is as good as destroying it. 3. Then the last, the most subtle, but most impossible "feature": the inlet pipe/adapter part is NOT PERPENDICULAR to the lid! The angle is subtle, but it's definitely there. So that means the inlet pipe and the outlet pipe is not perpendicular. 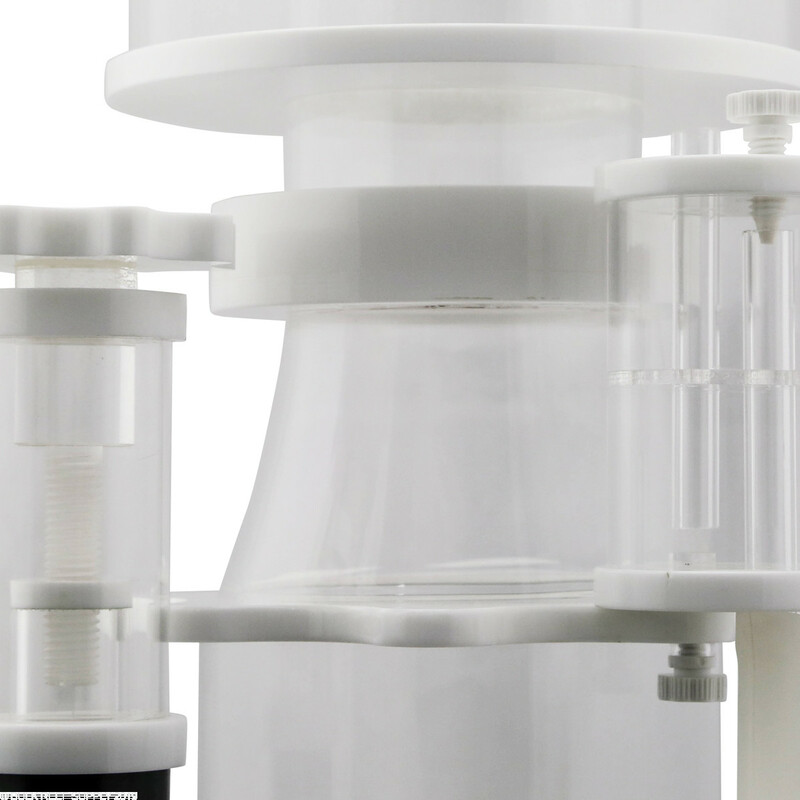 But the connector on the skimmer body is, so they don't really line up nicely, but instead slightly twisted and forced in place by the connectors. I think this is one of the reason the pump is so noisy. Also the lid can be install in every 90 degree, which means the inlet pipe and outlet pipe will get 4 different relative positions. 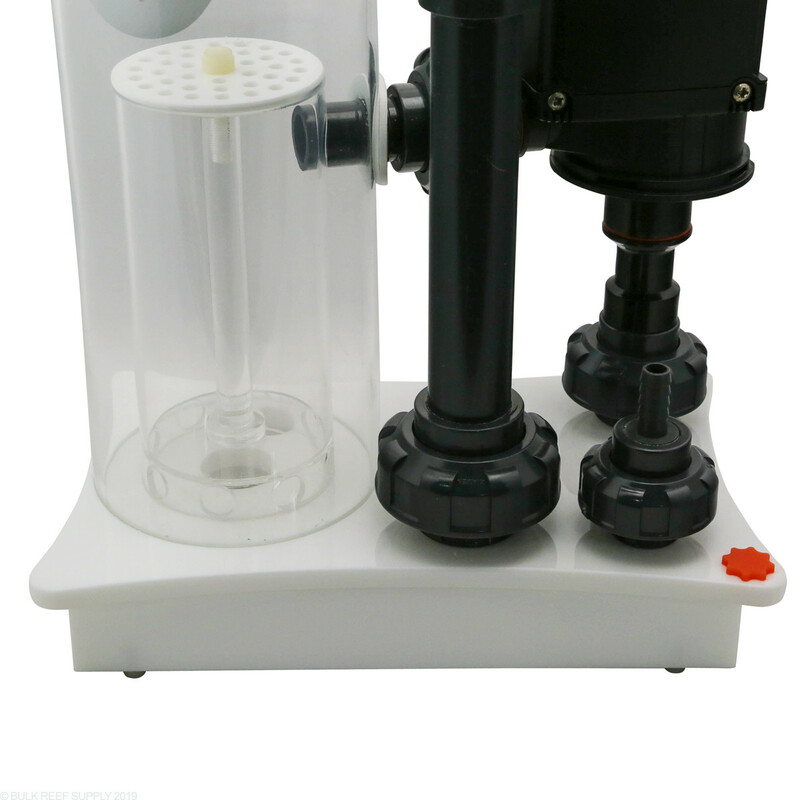 So even if one of the position will lead to the correct line up of the pump and skimmer body, you will have no way to find out. (And remember, every time you try to open it and try a different position, you have another chance to break the shaft.) This "feature" is just intolerable! There are other minor things I can complain about: the air tube is too short, when the air inlet on the pump face the opposite side of the skimmer body (which is the position the first time I install it), it not long enough to reach the silencer than attached to the body. The adjustment dial is super loose and no lock, and I have to be extra careful even when removing collection cup to not accidentally turn it. Maybe I can tape it once settle down on a level. Those are really minor compares to the pump. So if you're looking to buy this very model, do yourself a favor, JUST DON'T. I would prefer to return it if it's an option. 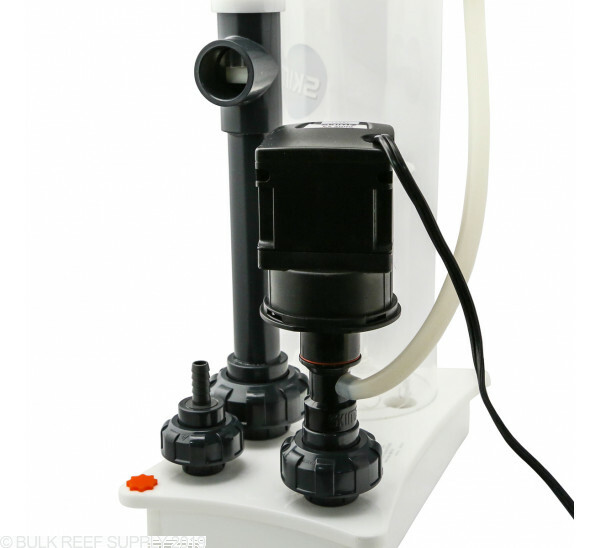 This is the most adjustable skimmer i have ever owned, No need to worry about sump water level and produced more skimate than i Knew was even in my tank. this should be called beast instead of monster, i am very happy with skimz look forward to other skimz products. Hi. I just ordered an SM122 external for a new tank build. 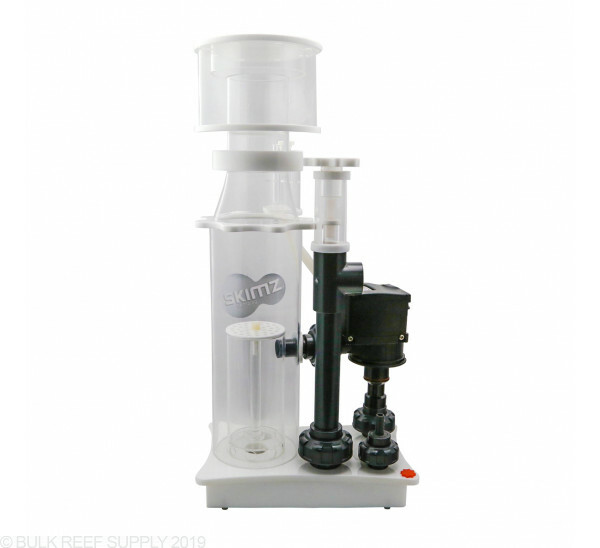 What feed pump would you recommend....would a Cobalt MJ900 work or should I consider something like a Sicce Syncra Silent 1.0? The tank is a 45G (48x18x12) with 21G sump/refugium that will be used short-term to get a head start on livestock for a larger display tank I'm building. Long-term it will probably serve as a frag tank. Thanks! We would recommend the Sicce 1.0 if possible (slightly larger up to the 1.5 as well if you need to push the water a further distance) The sicce allows for easy plumbing using the included barb fittings with soft tubing or the female NPT adapter on the pump. Feel free to let us know if you have any further questions! I currently run a hob skimmer on my tank. I also am sumpless. If i install this on the floor behind the tank. Can the return water be pumped back into the tank. Top of the tank is about 5 feet from floor. In short, no. 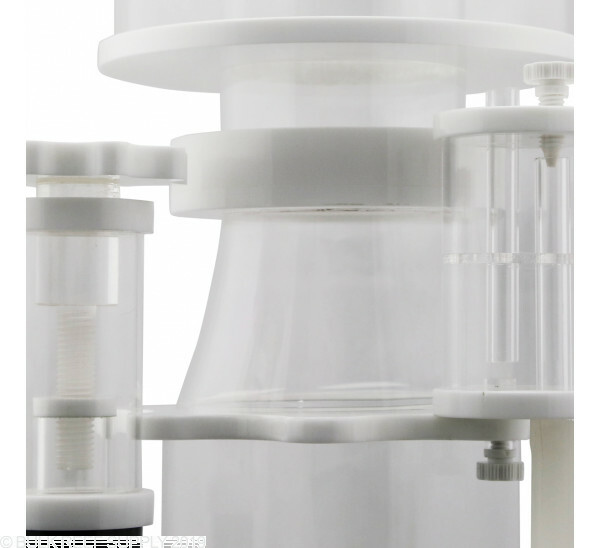 The water would simply fall down and pour out of the collection cup as the siphon is created. 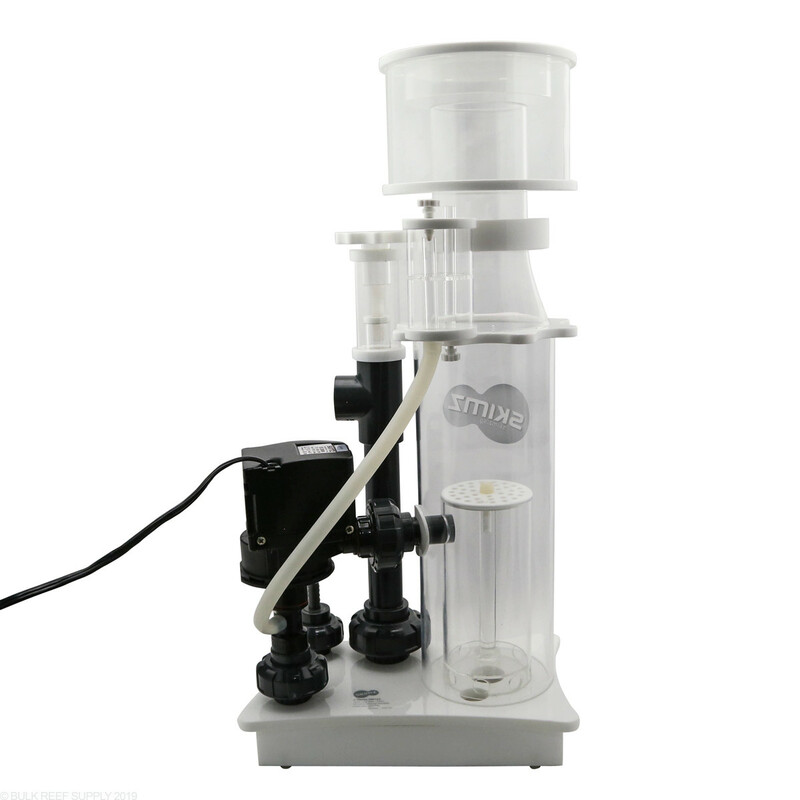 I'm thinking about upgrading my existing skimmer but I don't have enough space inside the sump to fit SM122 skimmer. My current setup consists of hang on back skimmer that is installed on the sump. The description of this skimmer indicates that it's external. 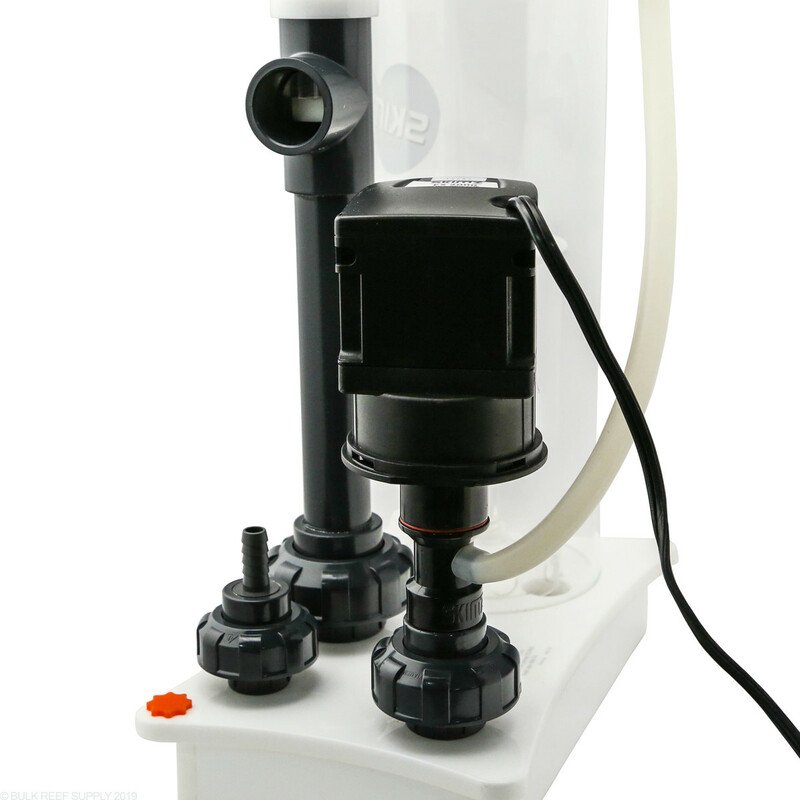 Does that mean it can be installed outside of the sump, such as on the cabinet floor with a pump feeding the skimmer and output returning back to sump? 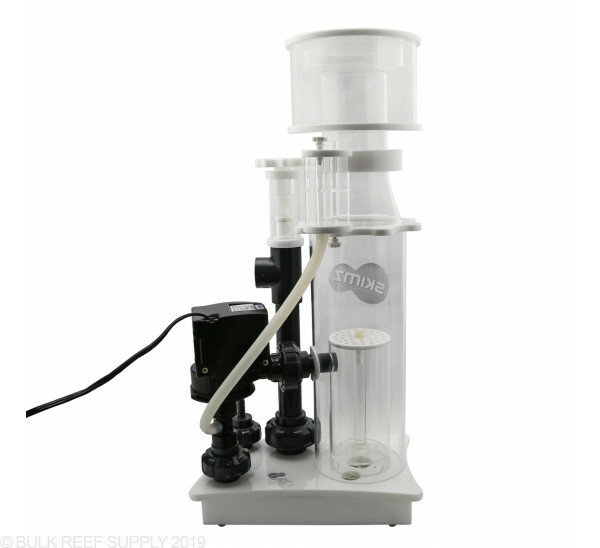 Also is my existing MJ1200 pump good choice to feed this skimmer? Thanks! 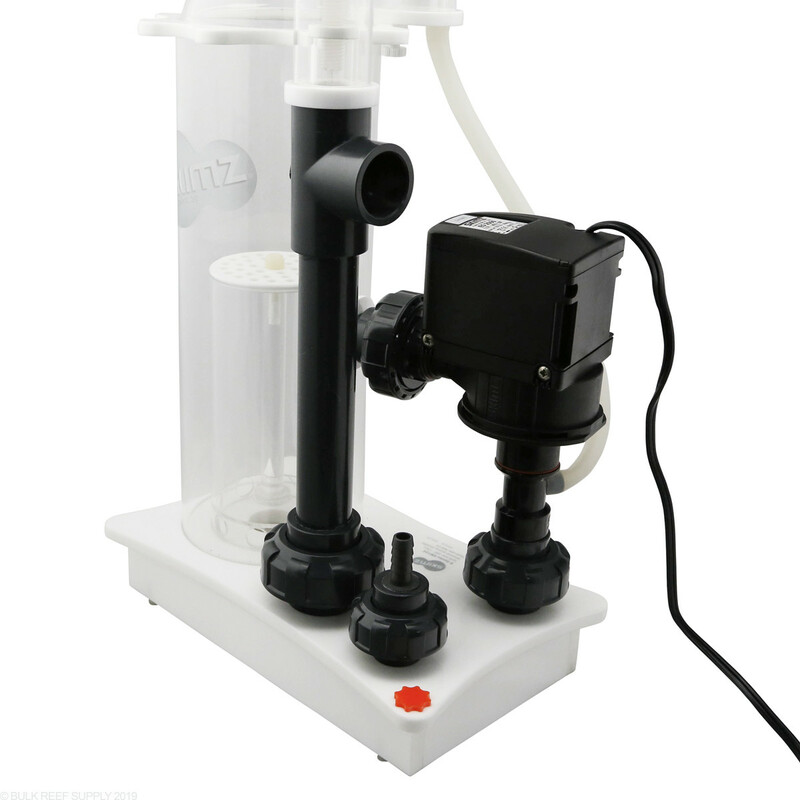 This skimmer can be placed external next to the sump. 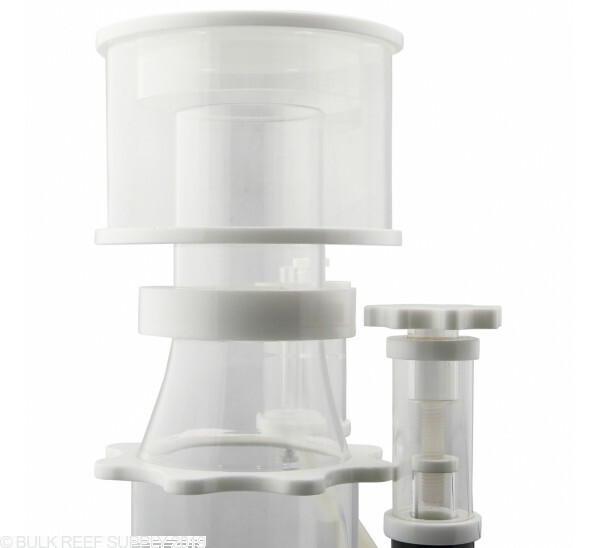 You will the drain from the skimmer to flow back into the sump at the same height so the sump may need to be drilled if your sump is taller than 12" Otherwise the drain will simply lay over the top of the sump. 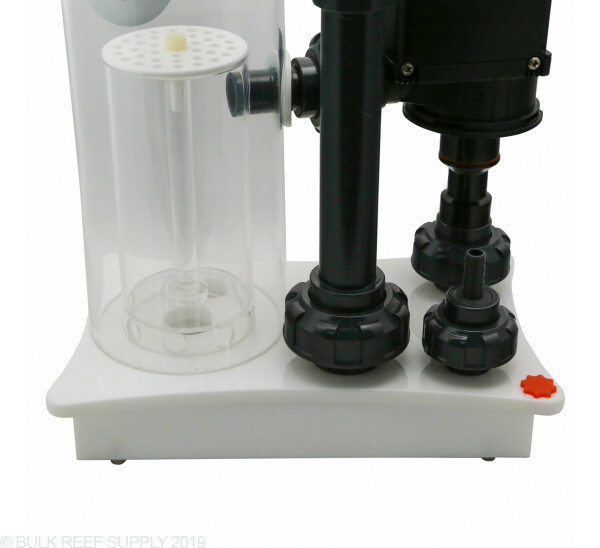 The 1200 pump is more than adequate for the feed pump. How much clearance do you need to remove the waste cup? Great question! You will need about 2-3" of clearance to remove the cup.